Mix & Match Design Company was founded to make interior design services accessible and affordable for everyone. By harnessing the power of technology and using innovative online tools, we're able to help folks create homes that they love in a fun and efficient way - all online through "e-design" - while maintaining a personal touch. Mix & Match Design Company wants to take the intimidation out of interior design - whether you are starting from scratch on a brand new home or redesigning a room that's ready for an update, we're ready to help! Read more about our e-design services right here. Since its inception in 2015, Mix & Match has grown into a multi-faceted business that provides one-on-one e-design services, offers regular design content through the blog, and created an online course for designers (or aspiring ones!) who want to start their own online interior design businesses. We also love to partner with companies and brands that align well with Mix & Match Design Company's brand and aesthetic to create great content that's inspiring for our audience. Feel free to take a look around and explore and be sure to follow along with us on social media (Instagram is our favorite!) to keep up with the latest Mix & Match happenings. Come on by and say hello! If you have questions or have a project that doesn't quite fit our packages, contact us at chaney@mixandmatchdesign.com. We look forward to working with you! Chaney and her husband (along with their dog, Jackson) live in Philadelphia. She's from Virginia originally, and definitely claims her southern roots. In 2015, after renting for years, she and her husband bought their first home - one that needed a lot of love to come alive again. Over a year-long period, they transformed their 1930s row home from drab and dark to bright and modern while retaining much of its original charm. You can see one of her favorite projects - her kitchen - right here. In her free time, Chaney loves to explore her city with her husband, run with her pup, and dig into a good novel. She also has a deep love for her Auburn Tigers and the Washington Nationals. "I couldn't be happier with Chaney and Mix & Match design. She was extremely easy to communicate with and really helped me figure out how to use my rather small space in the best possible way. I would highly recommend Chaney and Mix & Match to anyone who has time constraints or just wants professional advice on home decor. Thank you, Chaney!" 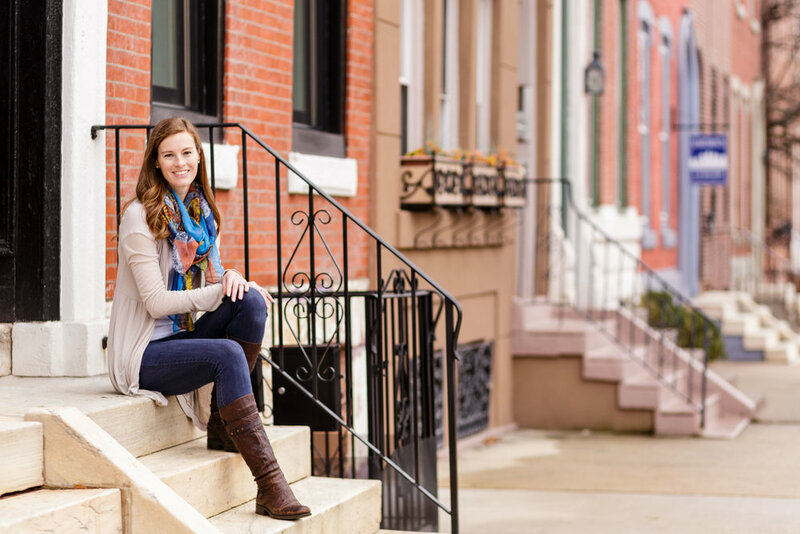 - James P.
"After recently moving from a tiny Rittenhouse Square one bedroom to a brand new two bedroom apartment more than double the size in the Philadelphia suburbs, we knew we had lots of space to fill! Having had major life transitions include new degrees, new jobs, and a big move to a new town, our plates were pretty full. With so much going on, the thought of trying to fully furnish and decorate a second room (our master bedroom) seemed daunting. We had been following Chaney's blog for a while, which led us to Mix & Match Design Company. We went with the Full Room Design service, which had everything we needed. Chaney gave us a questionnaire to assess our must haves, likes and dislikes, style, and budget. We gave her some pictures of bedrooms that we found on Pinterest as a simple reference point and then she handled the rest. She quickly compiled a board of basic pieces - the bed, dresser, end tables, etc. - and gave us four different options for each major item that we were able to choose from. If there was something that we weren't sure about, she happily gave us alternatives to make sure that we were beyond pleased with our layout. She even added on some accent pieces to tie the room together beautifully. Chaney was always quick to respond and was a pleasure to work with. Once we agreed upon a final design, she sent us a list of all the items along with the links to purchase. How easy is that? We bought everything on the list and put our room together over a long weekend.My husband and I could not be more thrilled with the way it turned out and we can say nothing but great things about this experience! We will recommend Chaney to everyone we know!" - Courtney N.
"Chaney was extremely easy and enjoyable to work with. I asked to be given ideas and she came up with things that I never would have thought of, which is exactly I wanted to work with a designer. She selected products from places that I was unaware of and saved me a ton of time and frustration from not knowing where to start. Super responsive and I'm very happy with things at this point!" - Ted E.
"When we assembled the room, Ryan and I just stood there and whispered how much we love it. Last night, we opened a bottle of red wine and just sat at the table and did a puzzle. In fact, we had a "grand opening" of the dining room and invited some friends over and served a seven course Italian feast. In addition, we had a small group dinner the other night and just shared life around the table... exactly my dream for the room!" - Erin Y. Sign up with your email address to receive the newsletter and updates! You're on the list! Check your email in a few minutes to confirm your subscription. Thanks!